Finocchi alla diavola. Alla diavola translates as ‘the devil’s way’ which usually means a little spicy. In this case it means that the dish includes hot mustard. The recipe comes from the Silver Spoon, so I haven’t actually seen it in Italy. 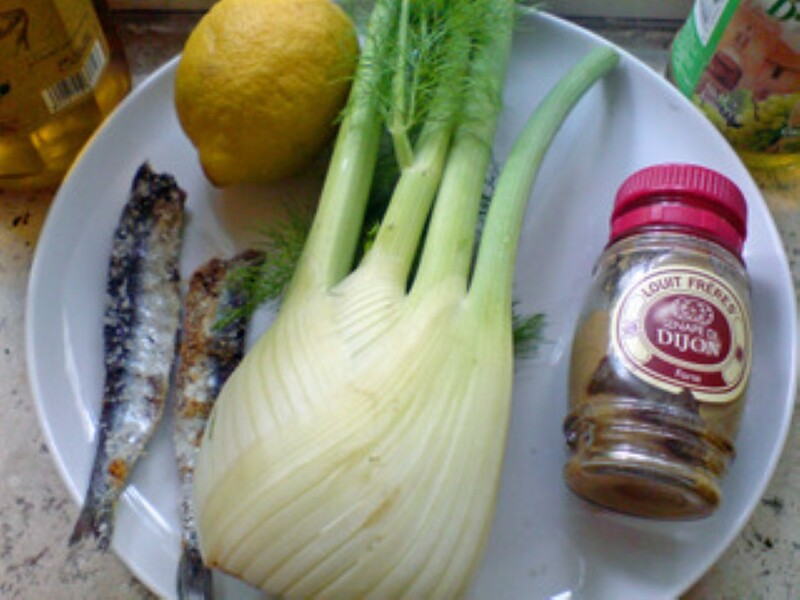 It is good for people who don’t normally like fennel, as the mustard and vinegar remove the strong aniseed taste that many people find distasteful. Serves 4. Heat the oil in a pan, add the anchovies and cook, mashing with a wooden spoon, until they have almost disintegrated, then add the fennel. Mix together the mustard and vinegar, season with salt and pepper and sprinkle the mixture over the fennel. 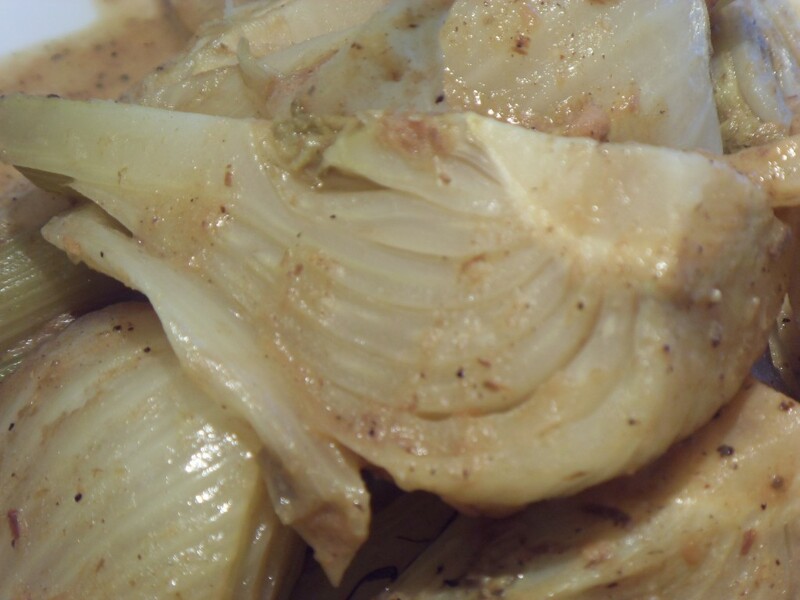 Cover and cook over a low heat, stirring frequently, until the fennel is tender. Add a little water from time to time if necessary. Pour the sauce over the fennel and serve.